My adorations for this drugstore hybrid lippies are well documented here on this blog. I won't be reviewing this in details since it's been done so many times. Basically L'Oreal Wet Shine Stain is an affordable and sheerer version of the Yves Saint Laurent Glossy Stain. Stubborn Plum is a sheer purple pink. I have a hard time connecting this feminine and almost naive color to its weird name. I find the lighter shades from the range go on even sheerer than the bright ones, and Stubborn Plum is not an exception. The color shows up nicely on lips as it deepens a little bit once applied. This swatch pic was taken 30 minutes after the application. 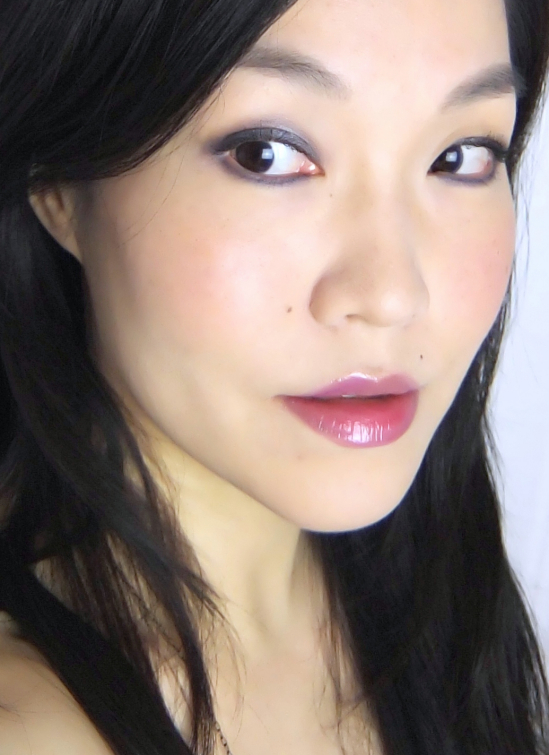 On my medium pigmented lips, Stubborn Plum is read as a cool mauve-y pink. 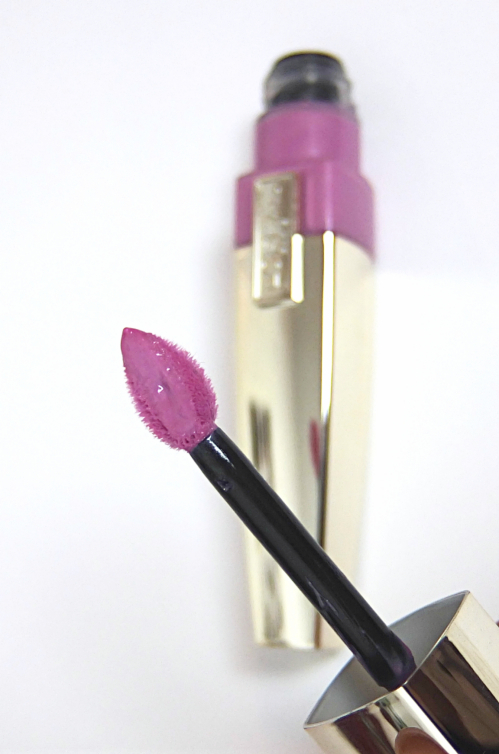 L'Oreal Wet Shine Stain Stubborn Plum is another winner in my book. The color is sheer but it defines the lips nicely. 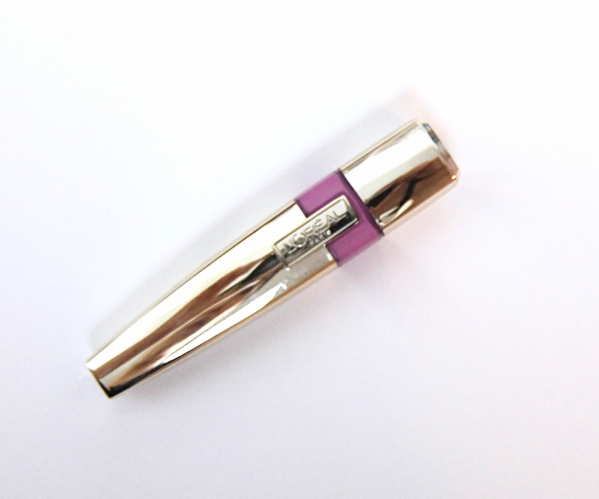 Plus it feels quite light on lips and is long lasting, which I find more suitable for summer. Mind you that it is fragranced with a boozy floral scent and a little bit sticky. 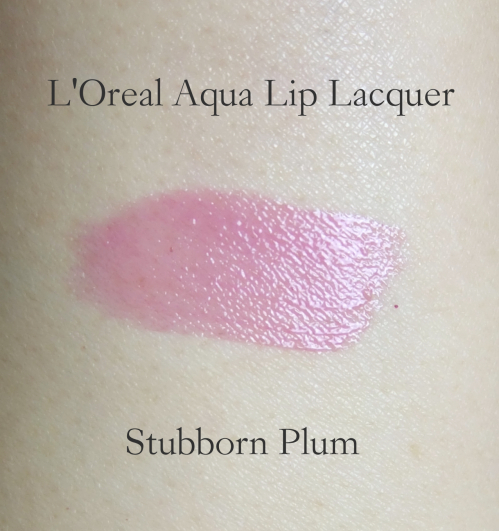 Are you a fan of water-based hybrid lip products like L'Oreal Wet Shine Stains like me? Yesss this looks awesome! But eh, yeah, they could have done better than "Stubborn Plum". I kind of miss the simple time when lipsticks had simple names like pink, purple, light brown, etc. ;p But I do see how these name plays affect the whole business now. Oh the color is lovely!! I believe this particular range is named differently here in Germany.. I like the european names better. They seem more personal and unique than the US names. I was in total awe when the ysl glossy stains came out but am glad I never got around to buying any as they are so pricey here! I've been waiting it out to see if anything else comes along and I totally need one of these babies! love the color, it's barely a plum, more like a light berry! So pretty on you and definitely a Lena lip shade! Haha, Stubborn Plum. That's just silly. I have a couple and I don't mind them, but they do get really tacky after a while! I like the Maybelline Color Elixirs better, although I wouldn't say they are an exact match in formula type. Wow, that looks so gorgeous on you. I love that color. It's so fresh, but deep at the same time. If that makes any sense at all. I obviously am not a makeup specialist, haha! I really like how natural yet defining this color is. Oooh, which color? Purple Prelude..or Molto Mauve..?? They are super pretty! Oh very cute makeup, the shade is very pretty! I have yet to try these but your review makes me want to run out and get myself a couple! I tend to be more of a lipstick girl, but maybe that's because I haven't met the right gloss?